Children under the age of 14-years-old shouldn’t be allowed to play tackle football, lacrosse or ice hockey unless there are special rules in place to reduce their risks of concussions or other sports-related injuries in Massachusetts and elsewhere. That’s what Dr. Robert Cantu of Boston University is saying. 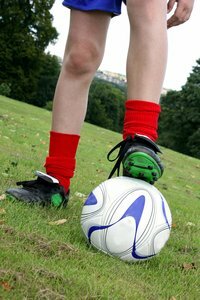 He adds that younger children should also be banned from heading the ball in soccer to reduce these injury risks. Dr. Kevin Guskiewicz from the University of North Carolina disagrees. He says that children should learn at a young age how to safely handle sports-related contact. He said that this competition, against those of the same size and age, is healthy and beneficial in preventing injury later on in life. Our Boston personal injury attorneys have young children who play sports, many of them playing on the same fields as your children. We understand that regardless of what sport they’re playing, safety is a top concern. The real question of this matter is whether or not the safety advantage that is gained by learning to perform athletic maneuvers at an early age is offset by the risks of brain trauma that is caused by repeated blows. According to Guskiewicz, kids are better off learning how to play these games when they’re young instead of waiting to do so when they’re in high school. It’s as if the early athleticism will help to toughen them up. He says that it’s better to play in these youth leagues because the children are going up against other kids who are about their same size. If you wait until a child is in high school, then you run the chance of a 130-pound player going up against a 300-pound player. Bottom line, Guskiewicz says, is that players should learn how to play at a younger age. Cantu says that he has seen too many children in the hospital being treated for concussions. He says it’s critical for our young athletes to avoid blows to the head. Cantu says there’s absolutely no reason to subject young children to traumatic head injury. He doesn’t think that children should be left out of these kinds of sports. He says that the rules should be rewritten to accommodate their vulnerable bodies. Cantu has recently conducted studies on the increasing numbers of athletes 17-, 18- and 21-years-old with early signs of chronic traumatic encephalopathy (CTE) at the time of their death. This condition is a result of repetitive head trauma, like the trauma oftentimes experienced by boxers. Experts can fight till the death, but the truth of the matter is that it’s up to the parents to either keep their child in or pull them from their sports programs. And it’s up to the coaches and others responsible for their safety on the field to make sure that they’re provided with all of the proper safety equipment they need and take head injuries and pains seriously! If you or your child has been injured in a sports accident in Massachusetts, contact Boston Injury Attorney Jeffrey S. Glassman for a free and confidential appointment to discuss your rights. Call 877-617-5333.